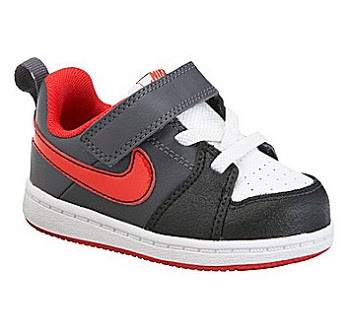 Charlize Theron’s son may not be at the walking stage yet, but he looked adorable in his Nike Infant & Toddler Boys Backboard 2 Basketball Shoes ($30 at Dillards). You can outfit your budding basketball star in slam dunk, ’80s-inspired style. The Backboard 2 infant and toddler boys’ shoe sports a hook-and-loop closure for effortless on/off and an adjustable fit.